Defendant LIB hosts the Life is Beautiful festival in Las Vegas. 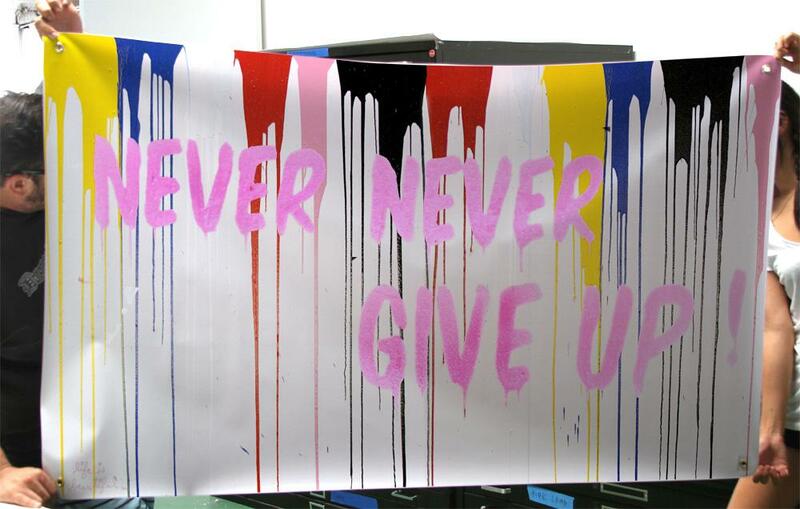 In developing the festival’s style, founder Rehan Choudhry collected digital images from Google searches related to his concept, which included artwork created by Thierry Guetta, aka Mr. Brainwash, including the phrase “LIFE IS BEAUTIFUL.” Choudhry hired a graphic designer to develop the festival’s logo; the result was a heart made of splattered paint. The first festival was held in the fall of 2013, and repeated annually, featuring music, food and alcohol tastings, public speakers, and art exhibitions and installations. 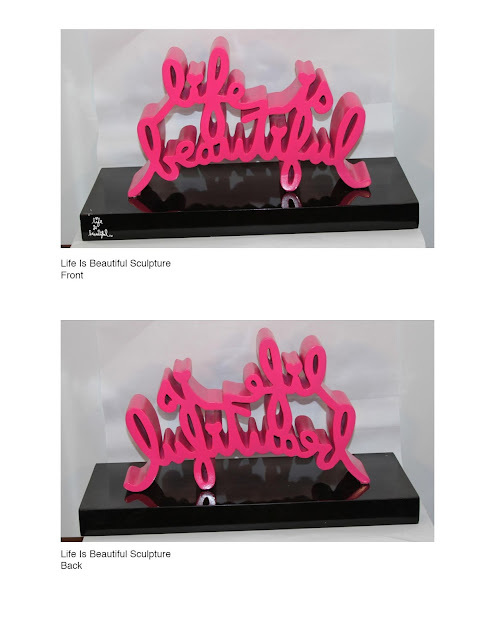 Between 2011 and 2012, Amusement Art filed eight ITUs for “Life is Beautiful” covering paints, electronics and accessories, jewelry, paper goods and printed matter, rubber goods, leather goods, housewares and glassware, and textiles. AA executives filed Statements of Use, under penalty of perjury, asserting that AA had actually used the phrase “Life is Beautiful” as a trademark to sell approximately 257 categories of goods within the application classes. 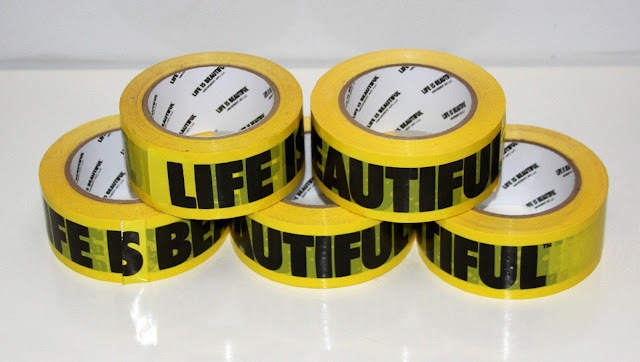 AA also submitted pictures of various goods with “Life is Beautiful” sales tags attached to them. In September of 2014, one month before suing, AA also filed an application for Life is Beautiful” for festival and community events. When LIB determined that AA didn’t actually sell many of the goods on which it obtained registrations, it told AA that it was going to seek cancellation on the basis of fraud on the PTO. AA surrendered eight of the registrations, but retained its 2014 registration in connection with festivals and art events. 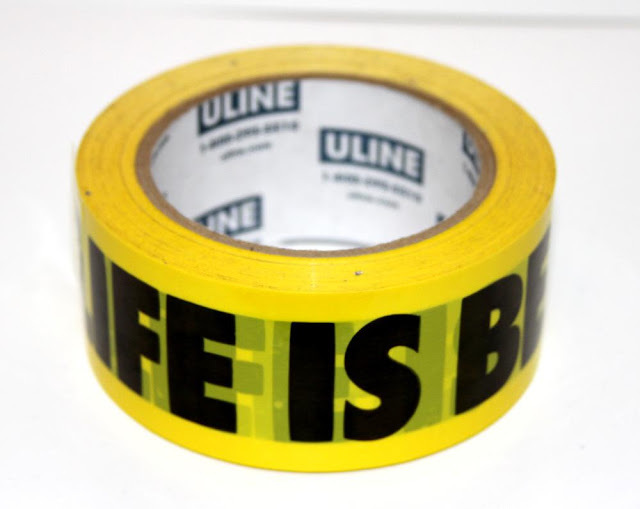 LIB argued that all of plaintiffs’ “Life is Beautiful”-based trademark claims were barred by unclean hands. This requires clear and convincing evidence “ that the plaintiff’s conduct is inequitable and  that the conduct relates to the subject matter of [Plaintiff’s] claims.” The inequitable conduct here was fraud on the PTO in claiming use. AA argued that there was no evidence that its statements were made knowingly or with intend to defraud the PTO. Fraud on the PTO in acquiring a patent can give rise to an unclean hands defense. Similar logic bars recovery in trademark. Cancelling a registration for fraud requires: “(1) a false representation regarding a material fact; (2) the registrant’s knowledge or belief that the representation is false; (3) the registrant’s intent to induce reliance upon the misrepresentation; (4) actual, reasonable reliance on the misrepresentation; and (5) damages proximately caused by that reliance.” The parties didn’t dispute that the statements of use submitted by AA were material false statements nor that the PTO reasonably relied on those misrepresentations. As for knowledge and intent elements, “no rational jury could credit Plaintiffs’ claim that the false statements were innocent mistakes in light of the extent of the deception.” AA filed eight separate registrations representing use on hundreds of categories of goods. There was no evidence that AA mistakenly believed it actually sold most of the claimed goods. Instead, AA argued that the executives who filed the applications were not native English speakers and that they filed the applications without the assistance of an attorney. “This explanation is implausible given that Plaintiffs have lived in the United States and spoken English for over 30 years and have also affirmed that they have filed trademark applications across the world.” But the bigger problem was that AA didn’t explain the several “deceptive” photos submitted with the applications showing goods staged with “Life is Beautiful” tags though these goods were never actually sold. By falsely securing the registration of marks that they never used and then later suing LIB on the basis of those marks, there is no question that Plaintiffs have harmed LIB. But the more pervasive harm in this case is the cost imposed on a public that relies on the integrity of the [trademark] system…. 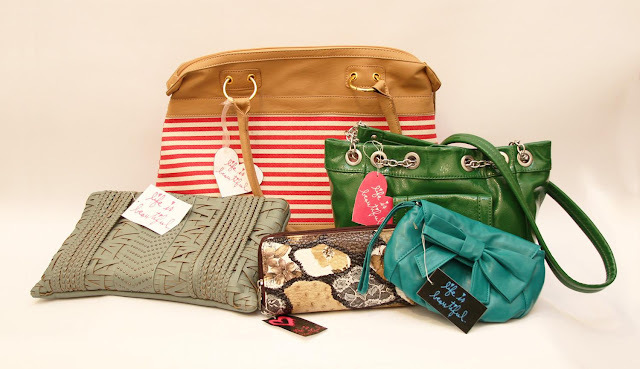 Instead of furthering the Lanham Act’s goal of fostering competition in the marketplace, Plaintiffs attempted to secure a monopoly over most plausible uses of the phrase “Life is Beautiful” without actually investing any resources into developing the goodwill of their brand. Plaintiffs falsely claimed ownership over the mark in eight classes of goods covering nearly 250 specific items. In doing so, Plaintiffs may have chilled potential competitors from entering the marketplace and developing their own brand identifications across an array of goods. To put into perspective the extent of the fraud, Plaintiffs registered the mark in nearly one–fifth of all possible classifications, asserting use in goods as varied as food coloring, watch boxes, beach umbrellas, cleaning sponges, talking children’s books, and crime scene tape. In fact, after eliminating trademark classifications that would plainly be inapplicable to the phrase at issue or Plaintiffs’ business, the court could identify only four or five additional classifications in which Plaintiffs could have even conceivably registered this mark. While it is difficult to measure after the fact the precise magnitude of the harm of Plaintiffs’ actions, the court concludes that there is no triable issue whether Plaintiffs’ acted inequitably. Unclean hands also requires that the inequitable conduct “relates to the subject matter of [Plaintiff’s] claims.” AA argued that this requirement would only apply if “the plaintiff has engaged in precisely the same type of conduct about which it complains,” to wit, infringement. Nope, fraud on the PTO in procuring the right asserted counts; “the relevant inquiry is ‘not [whether] the plaintiff’s hands are dirty, but [whether] he dirtied them in acquiring the right he now asserts, or [whether] the manner of dirtying renders inequitable the assertion of such rights against the defendants.’ ” AA dirtied its hands in acquiring at least eight of the registrations asserted against LIB. There was a closer question as to the registration of the phrase “Life is Beautiful” in connection with exhibitions and festivals, which Plaintiffs filed shortly before filing suit. This registration was the subject of cancellation proceedings before the PTO, but AA hadn’t surrendered it, and there was evidence of actual use with at least some claimed categories of goods/services. Still, the fraud barred all of AA’s infringement claims. 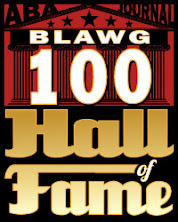 The earlier filings potentially deterred competitors in hundreds of categories. After that, AA became aware of LIB’s use in a category AA had yet to claim; it filed another application in that category; then it sued. Under the circumstances, unclean hands applied. Unclean hands also requires balancing the equities of the plaintiff’s and defendant’s wrongdoing. Here, that weighed in LIB’s favor. AA attempted to profit off its fraud “both by deterring competitors and by subjecting Life is Beautiful to the present litigation,” undermining “the sanctity of a trademark registration system that relies on parties truthfully representing which marks are bona fide source identifiers and which are not.” AA’s weak trademark infringement claim didn’t offset that claim. 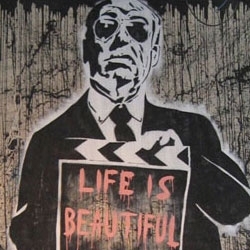 Indeed, the determination that AA didn’t actually use “Life is Beautiful” as a mark “would be fatal to any claim for trademark infringement of the ‘Life is Beautiful’ mark, and provides an alternative ground for resolving that issue.” LIB argued that AA’s use was merely ornamental, just one of several positive phrases Guetta used in his artwork under the mark “Mr. Brainwash.” LIB contended that use of the phrase as the title of an art show or as a mark on the back of canvasses didn’t qualify the phrase as a mark. AA responded by asserting that its registration “constitutes prima facie evidence of the validity of the registered mark and of [Plaintiffs’] exclusive right to use the mark on the good and services specified in the registration.” But where one party has presented evidence rebutting a claim to a trademark, the registration is “merely evidence ‘of registration,’ nothing more.” Given LIB’s evidence that AA’s mark was not actually a source identifier and that the majority of the marks at issue were fraudulently obtained, the presumption of validity alone was not sufficient to avoid summary judgment. Although AA surrendered eight registrations, LIB still wanted summary judgment on its counterclaim for cancellation, to avoid any attempt by AA to file new statements of use and reassert the same infringement claims. Before the TTAB, an attempt to surrender rather than face judgment would require the written consent of every adverse party to the proceeding, in order to prevent the creation of mootness and evasion of a judgment to which the adverse party was entitled. That logic also applied here. “Without an entry of judgment, there is nothing to stop Plaintiffs from refiling their marks after the conclusion of this litigation, and once again fraudulently deter potential competitors from entering the marketplace or subject Defendants to renewed trademark infringement actions.” True, “an ‘actual controversy’ must exist not only ‘at the time the complaint is filed,’ but through ‘all stages’ of the litigation.” Already, LLC v. Nike, Inc., 133 S. Ct. 721, 726 (2013). But “a defendant cannot automatically moot a case simply by ending its unlawful conduct once sued, and thus “a defendant claiming that its voluntary compliance moots a case bears the formidable burden of showing that it is absolutely clear the allegedly wrongful behavior could not reasonably be expected to recur.” If AA had no intention of fraudulent refiling, judgment would cause little harm, while giving LIB “substantial assurance” that it could build its business. Thus, the court granted the cancellation counterclaims. 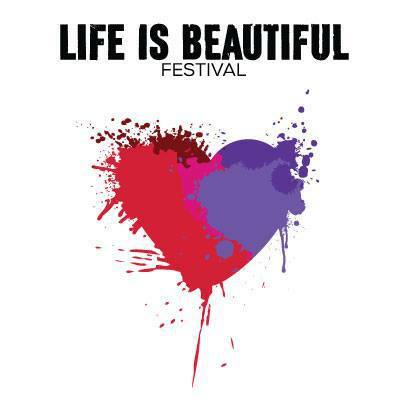 The court also granted summary judgment on AA’s trademark infringement and copyright infringement causes of action based on an image of a “splashed painted heart.” For the first two years of the Life is Beautiful festival, LIB used a painted heart design as the logo; that image can still be seen in connection with the festival on social media. First, LIB argued that AA didn’t use the heart design as a mark, but rather as an ornamental element in works and on merchandise. 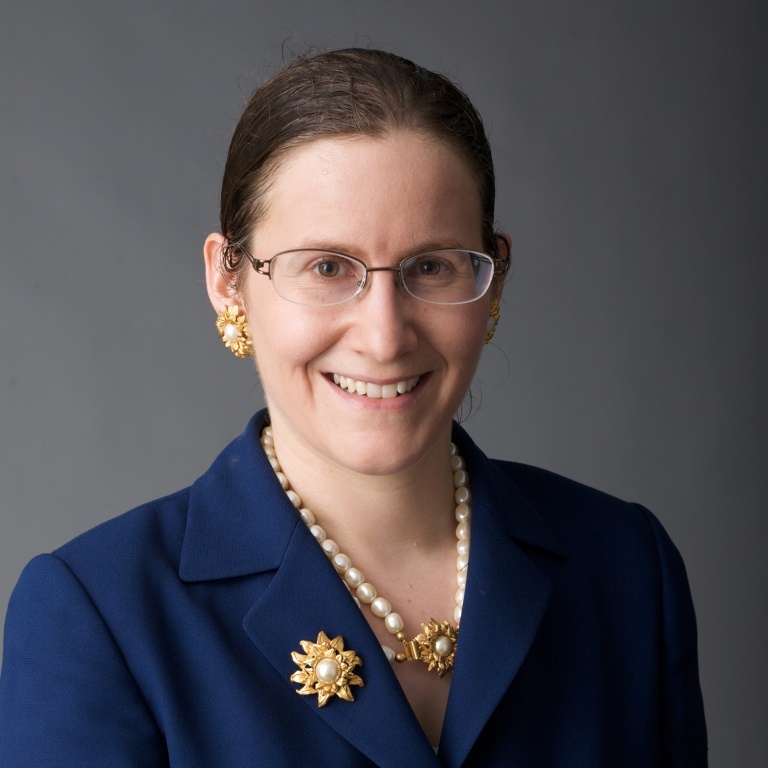 The court found that corporate representative Deborah Guetta’s testimony constituted an acknowledgement that the heart design didn’t function as a mark; she said the image was a “copyright image” and not a “trademark image.” Even crediting AA’s explanation that she was referring to registration, there still was no factual issue here. The heart design would require secondary meaning to be protected as a mark, and the limited use here—also described by the court as “sporadic use of the mark in Guetta’s artwork”—was insufficient, despite a statement by one of LIB’s employees that the image was a logo. Copyright infringement: LIB argued that they hired a designer who independently created the design. Even assuming the designer had access to AA’s heart, there was no substantial similarity. “Where the image at issue is ubiquitous, the copying must be exact.” Plaintiffs argued that one AA employee couldn’t tell the difference (which really wasn’t the right interpretation of his statement), and that the fact that both parties used similar heart images along with the phrase “Life is Beautiful” supports a finding of substantial similarity. Guetta’s heart is largely a monochromatic faded red while LIB uses at least two shades of two colors—red and purple—to depict their heart. 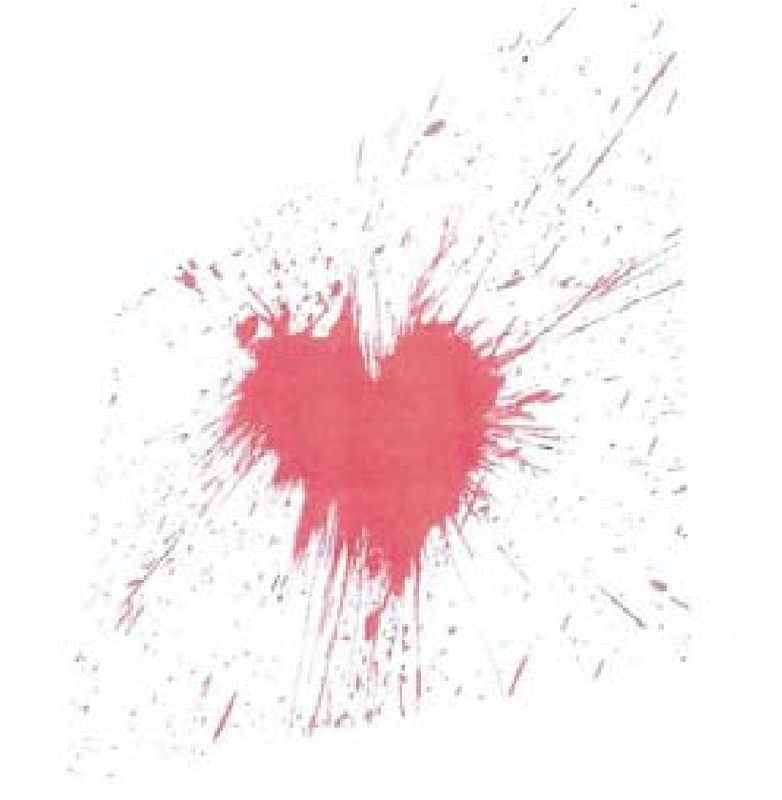 Guetta’s heart is composed of a much more dramatic splash of plaint with splatters reaching across the canvas, compared to LIB’s more controlled drip pattern on the heart. Moreover, Guetta’s heart looks like a handmade image with no smooth portions in the heart outline, while LIB’s looks like it may have been computer–generated with extended smooth lines for several portions of the heart’s outline.